Bounding Box Games Dev Blog: Calling all XBLIG reviewers! 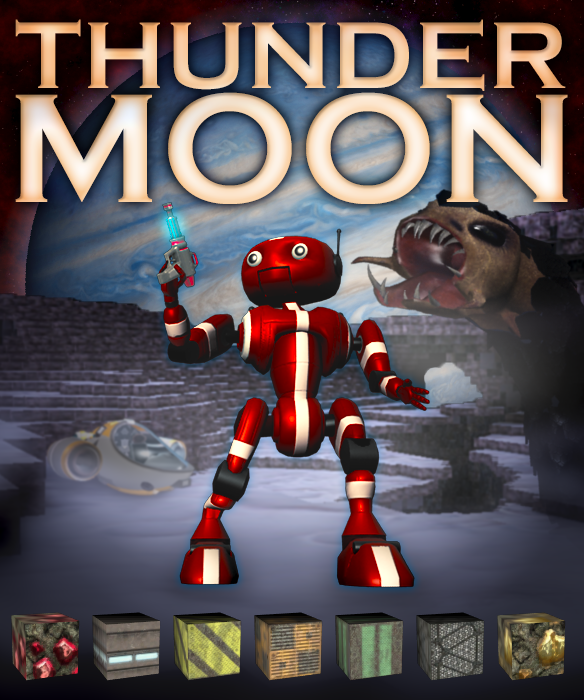 I'm hoping to get in touch with anyone who does reviews for XBLIG to try to spread the word about Thunder Moon. To make the reviewer's job easier, here is a condensed bundle of information that will help them decide if they should take a closer look along with additional media & information. Please feel free to contact me via email: eric@boundingboxgames.com. Thanks! Marketplace description: Explore Thunder Moon's cavernous alien landscape by foot, with jetpacks and by vehicle in this sci-fi shooter adventure! Fight bosses, warp time, craft weapons, boost stats and items with powerups, place turrets, mine resources, build structures, and much more as the story unfolds in the vast world of Thunder Moon! Media Pack: http://bit.ly/ThunderMoonMediaPack is a 7MB zip that has various images including the box cover and a number screenshots and alpha blended images to help with any layout needs. It also includes links to all official & related websites. Media Pack Online Preview: http://bit.ly/ThunderMoonMediaPreview is an imgur.com page that shows many of the assets you will find in the media pack. Player Reception: Thunder Moon seems to have been well received so far, having reached as high as #3 on the XBLIG top rated list as well as the title of Indie Game of the Week by Geek News Network. More Info: The two main websites are https://www.facebook.com/thundermoongame and http://blog.boundingboxgames.com. Contact email is eric@boundingboxgames.com.